 WATERLOO – There are several Laurier experts available to comment on a variety of topics related to the holiday season. Bradley Ruffle, associate professor of Economics at the Lazaridis School of Business & Economics, is an expert on gift giving and why people continue to give in-kind gifts versus financial gifts. Contact information: 519-884-0710 x4470 or bruffle@wlu.ca. Cynthia Comacchio, professor in Laurier’s Department of History, is an expert on childhood and families in Canada. Contact information: 519-884-0710 x3422 or ccomacch@wlu.ca. Rabbi Moshe Goldman, Laurier chaplain and rabbi at The Rohr Chabad Centre for Jewish Life, is an expert on Jewish holiday traditions. Rabbi Goldman is available to comment on all Jewish holidays and any other aspect of Judaism and Jewish life. Contact information: 519-725-4289 or mgoldman@wlu.ca. Chris Klassen, instructor in Laurier’s Religion and Culture program, is an expert on contemporary Paganism. Klassen is available to comment on the celebration of Yule/Winter Solstice. Contact information: 519-884-0710 ext.3626 or cklassen@wlu.ca. David M. Haskell, associate professor in Laurier’s Digital Media and Journalism and Religion and Culture programs, is an expert on adult and youth religious engagement and Christianity and media in Canada. Contact information: 519-756-8228 x5808 or dhaskell@wlu.ca. Justin Smith, associate professor of Economics at the Lazaridis School of Business & Economics, is an expert on charitable giving. Smith is available to comment on theories behind why people donate, income inequality and donations, and the determinants of charitable donations such as tax price of giving, matching or seed donations and government support for charities. Contact information: 519-884-0710 x4554 or jusmith@wlu.ca. Brad Davis, associate professor of Marketing and Laurier chair in brand communication at Laurier’s Lazaridis School of Business & Economics, is an expert on marketing communications and branding. He is available to comment on a range of holiday marketing topics. Contact information: 519-884-0710 x2539 or bdavis@wlu.ca. Chun (Martin) Qiu, assistant professor of Marketing at the Lazaridis School of Business & Economics, is an expert on retail. He is available to comment on holiday shopping activities, queuing, online shopping, store promotions, etc. Contact information: cqiu@wlu.ca.